Made of a perfect blend of flexible silicone. This award-winning ice tray set consists of 2 cube ice trays and 2 tube ice trays. Each with a strong grooved edge that allows for stacking two or more trays at a time while offering easy to carry and compact storage. Silicone Cubes N' Tubes Made of a perfect blend of flexible silicone. 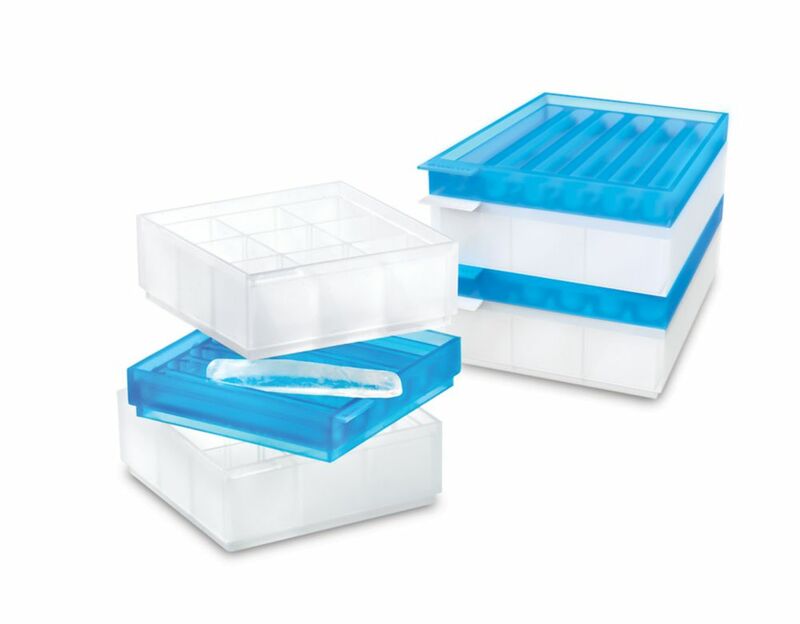 This award-winning ice tray set consists of 2 cube ice trays and 2 tube ice trays. Each with a strong grooved edge that allows for stacking two or more trays at a time while offering easy to carry and compact storage.